Personally, I blame Benjamin Franklin. It was old Ben who told us, "Early to bed and early to rise makes a man healthy, wealthy and wise." The fact that it can also make a man exhausted, cranky and deeply depressed did not stop Franklin from promulgating his catchy, but highly prejudicial, axiom. Which is why I speak for all late-risers when I respectfully say, "Mr. Franklin, go fly a kite!" The discrimination against people who wake up when the sun goes down, aka "night owls," is deeply imbedded in our workplace culture. As Alex Williams explains in "Maybe Your Sleep Problem Isn't a Problem," a recent article in The New York Times, early risers, aka "larks," are "celebrated as the high achievers, the apple polishers, the C.E.O.s." "In the corporate world," writes Williams, "rising early has always served as a handy signifier of unbridled ambition, the will to succeed." It's true! When it's 3:45 a.m. and you are finally ready to stop binging on the latest episodes of "Jessica Jones" on your Apple iPad, Apple CEO Tim Cook is "bounding out of bed." And, though the Alex Williams article doesn't say it, he's probably feeling very superior to Starbucks CEO Howard Schultz, a slacker who doesn't wake up until 4:30 a.m. The discrimination against night owls can become a real dollars-and-cents issue. A Foster School of Business study shows that "employees who started work earlier in the day were rated by their supervisors as more conscientious, and thus received higher performance ratings." No question, this is why larks get big raises, and night owls — get chicken feed. Perhaps the most frustrating aspect for those living the night owl lifestyle — or "chronotype," as we behavioral scientists call it — is the fact that your sleep schedule is not your decision. As we learn from Matthew Walker, the director of the Center for Human Sleep Science, "night owls are not owls by choice. They are bound to a delayed schedule by unavoidable DNA hard wiring. It's is not their conscious fault, but rather their genetic fate." If you are an owl or have owlish tendencies, chances are you have felt the pain of anti-owl prejudice. Since you can't change and your managers won't change, the only way that you will survive in the workplace is to understand that being nocturnal is not the only quality that defines night owls. For a wise owl to be at work well before the larks arrive, all you have to do is not go home the night before. Really, it's not such a terrible idea. You have access to the internet at work, so you can satisfy your "Jessica Jones" jones. There are also cozy spots to tuck in when dawn is breaking and you're ready for bed. The server room is warm and toasty. The supply cabinet has everything you need to make a sleep mask out of index cards and rubber bands. And the chairs in the main conference room are especially conducive to sleep. It's why you can barely stay awake in meetings, no matter what time they're scheduled. If there is work to be done, wise owls do it in the afternoons. Owls wake up at 12 p.m. and larks fade at 5 p.m., which leaves the hours between 12 and 5 when both flocks are awake. Just don't forget lunch, which wipes out the hours between 12 and 2. And do remember that larks, feeling self-satisfied with all they've achieved before sunrise, are likely to leave early. Basically, this means that the ideal time to work is between 2:32 p.m. and 2:34 p.m. Yes, it's only two minutes, but there's no limit to what can be accomplished when larks and owls work together. If these solutions do not work for you, consider a job change. Computer geeks are not only allowed, but are expected to work through the night. If a coder arrives late to work, looking disheveled and wrung out, it's not held against them. It's a sign that they're working hard. Trust me, if Ben Franklin was alive today, he'd change his job and his tune. He'd be working at Facebook and publishing his pithy maxims on Twitter. I can almost hear him now — "Late to bed, late to get up, makes a man as rich as King Tut, especially if the man gets big signing bonus and beaucoup stock options as part of his overall compensation package." Kind of catchy, yes? And very true. 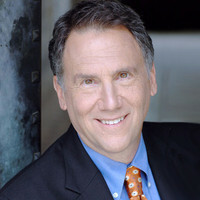 Bob Goldman was an advertising executive at a Fortune 500 company, but he finally wised up and opened Bob Goldman Financial Planning in Sausalito, California. He now works out of Bellingham, Washington. He offers a virtual shoulder to cry on at [email protected] To find out more about Bob Goldman, and read features by other Creators Syndicate writers and cartoonists, visit the Creators Syndicate web page at www.creators.com.